‘Inception’ – Did the Ending Make You Happy or Confused? Last night, friends dragged me away from my favorite John Hughes movie Sixteen Candles to watch Leonardo DiCaprio’s new film, Inception. I’d wanted to see it since the checking out the trailer months ago but my friends were exceptionally hard body arranging a midnight showing field trip. 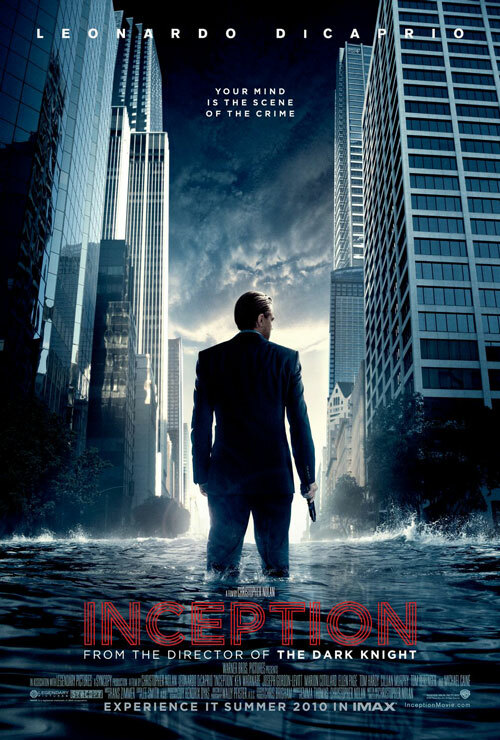 So today I’m pretty tired but I can say that my slow going is well worth it because Inception was pretty awesome. I already love cerebral thrillers and this film was like “Total Recall on crack” according to a friend, though I thought it was more Being John Malcovich mixed with Eternal Sunshine of the Spotless Mind and any ’90s hacker movie you fancy. Not to spoil it for you, but DiCaprio is a dream hacker hired by companies to garner secrets from his marks. Later in the film, he decides to do the opposite and plant an idea in someone’s head and hires a crew to help him out, which leads to dream sequences, walking on ceilings (no, Lionel), gravity-defying fight scenes and ultimately, confusion. Why am I confused? The end was wild inconclusive, as any good thriller should be. I’m not sure if I’m happy or if I’ve been tricked. I won’t tell you exactly what happens but I’d love to hear your thoughts in a comment below so I know that I’m not alone in my confusion. Spain is the World Cup Champion! Not only the last part. but also some other scenes made me confused. The end was definitely SAD, according to me, Mr Cobb is stuck in the Maze. Cause in order to get to Reality. At level 3 (the Last level), Leo should have jumped off the cliff, but it was too late , the explosives have started and all the below three levels have been destroyed. So, there is no way his body could wake up near the Vault, at the Hotel or in the Van. The Visit to the old Chinese guy in the end,to claim his reward was still not the real world. And to Make matters worse ,the spinning top did not stop spinning for a long time. i saw it with my mum, and we came up with a reason. So Leo would have died in the van in the first level of the dream, and because he was sedated he would have been sent back into limbo, which is why he washed up on the shore of his conciousness, and then went to see the guy who had died because he was shot in the first level. Then i think Leo shot the guy and killed himself, releasing himself to come back to reality. I think that they did come back, they just left the spinner spinning to make us question it, because from where i was sat, it looked like it was toppling.